Meet Joanna Byrne, owner/trainer of Numenor Farms, where Joanna retrains ex-racehorses – often from abusive pasts. Joanna has participated with programs such as the Thoroughbred Incentive Program (TIP) and the Retired Racehorse Project, and is an avid supporter of Thoroughbred aftercare. I grew up in Azle, a little town outside Fort Worth, Texas. My mom had grown up around horses, since her dad was a rancher in Lubbock. My dad had always wanted horses, and that kicked things off. My parents made sure I had a broad taste of training in the horse industry. When I was a kid I fell in love with Thoroughbreds, and my study of bloodlines always led back to the Thoroughbred for every trait I liked. When and how did Numenor Farms start? After my dad passed in 2005, I ended up with his three stallions. One of those is my Thoroughbred stallion, Gotta Be Free. I saw a lot of potential in him, and knew that cow horses were not the way I wanted to go. I started looking for the right mare, and Numenor has developed from there. I have always had a passion for the underdog, and I believe in giving horses second chances. All of my mares are second-chancers – owner’s death, bankruptcy, divorce, injury – even Gotta Be Free was a second-chance horse. What made you want to start Numenor Farms? I couldn’t walk away from horses. They have been a major part of my life, and I really don’t know where I would be without them. Even as a kid I dreamed of riding racehorses, but at 5’7” I’m not built to be a jockey. I decided that the next best thing was riding ex-racehorses doing other things. I love training and find it very satisfying. 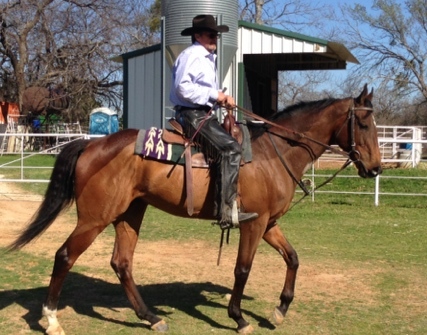 I have been fortunate to get the opportunity to purchase some great horses, so it all falls together. How do you find racehorses to retrain (do you track them down, do people send them to you, etc.)? I usually end up with ex-racehorses in the course of training horses in general. 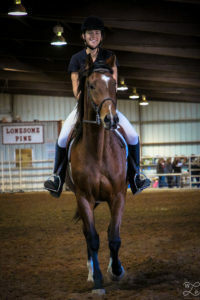 I have a reputation locally for riding and training ex-racehorses, and stallions, so I get a lot of horses that fit one or both of those categories. I’ve had a few horses sent to me to ‘fix’ because they have been abused or been in severe neglect situations – so far the common denominator with horses like this is that they are either tattooed, or have been on the unsanctioned brush track circuit, or sometimes both. Although every horse is an individual, what is your general process of retraining a racehorse? I always start with ground work. I go through a process of in-hand work where I teach them to give to pressure and introduce them to voice commands and long lines. I don’t like getting on a horse until I know I have consistent walk-trot transitions, a nice soft mouth and a consistent ‘whoa’. I start under-saddle in the arena and I am riding in the pasture within a week or two of getting on them, so I want to know I have a good handle on a horse, and I want them to be safe in an open-country situation. I like to gallop, but only if it’s my idea! I do think, if they haven’t had any ‘down time’ after the track, that they need a period to learn how to be a horse and get some pasture turn out time. I believe it helps them handle open spaces better under saddle too. How long the down time lasts will depend on the individual horse. 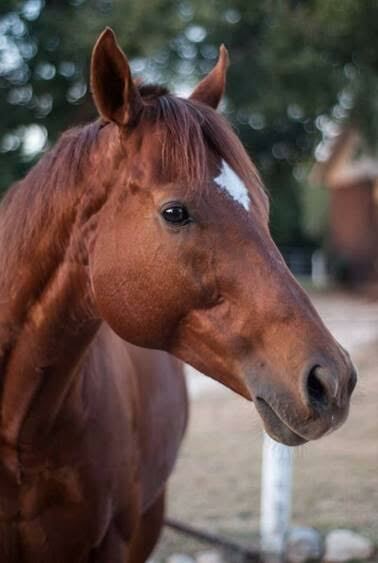 OTTBs are often labeled as “crazy.” But how would you describe them? I think they are smart, easy to train, and enthusiastic about doing things. They seem to get bored easily, and they have great personalities. I also think that getting them ready to compete in another discipline is much easier because they have already had a career. What has been your participation with programs such as the Thoroughbred Incentive Program (TIP) and the Retired Racehorse Project? I’m a huge fan of the Retired Racehorse Project, I think it is one of the best things that has happened for the horse industry – as a whole – in a long time. I have been a member with RRP for three years, and plan to continue to support the program. This is my third year participating in the TIP program with my 2010 gelding Tiers of Lords. I think it is a great program for Thoroughbreds, and I really like that it helps bring more attention to post-race careers for Thoroughbreds as well as giving them credit for their achievements. Do you have any special stories to share about racehorses you’ve retrained? Or any specific horses that have stuck out to you? Gotta Be Free gets all the credit for really showing me what OTTBs can do. It wasn’t ever in the plans to compete on him, but I got in a bind for a horse to ride for the 2010 season. 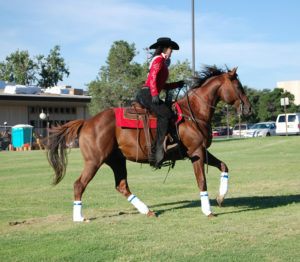 I had been elected Queen of the Lubbock Saddle Club for 2010 and due to unforeseen circumstances, I was without a horse. 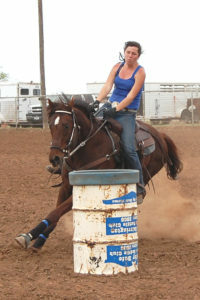 In December ‘09 I started Gotta Be Free in training and by the middle of February ‘10 I was at a barrel race with him. He won me a series high-point buckle that year, reserve high-point in another series, I paraded on him as Queen and monied at local barrel races. I never had to drill him on patterns. He is a consistent performer. Even now, when he hasn’t been in work for a few years, I can get on him and know exactly how he will act. He really showed me how reliable ex-racehorses are. What do you consider your main goal in retraining racehorses? My main goal is giving retired racehorses a second career. I love the underdog. When I see racehorses, I see great horses that just need a little help to be ready to perform at any discipline. What is the most rewarding part of retraining racehorses? Interacting with them is the most rewarding. I love discovering their individual personalities and building a relationship with them. I think they are different from horses that do not come from a racing background. They start out with a broad spectrum of experience, they really like to work, and are competitive. I also love breaking the ‘crazy ex-racehorse’ stereotype and exposing people to how amazing Thoroughbreds are off the track. Please include anything else you’d like to add. I am glad to see that the Jockey Club is embracing post-racing careers with the Thoroughbred Incentive Program, and the Championship Show. I am really looking forward to how the program advances over the next few years. I would like to see the Thoroughbred breed make a name for itself in disciplines that are traditionally Quarter Horse-dominated. 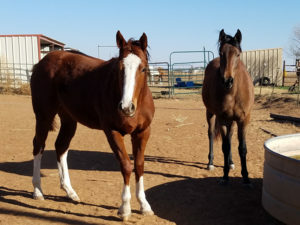 After all, modern day Quarter Horses and Paints owe their heritage to the influence of Thoroughbreds like Three Bars, Azure Te, Top Deck, Find A Buyer, Raffles, Chicaro and the Army Remount sires, just to name a few on a very long list.